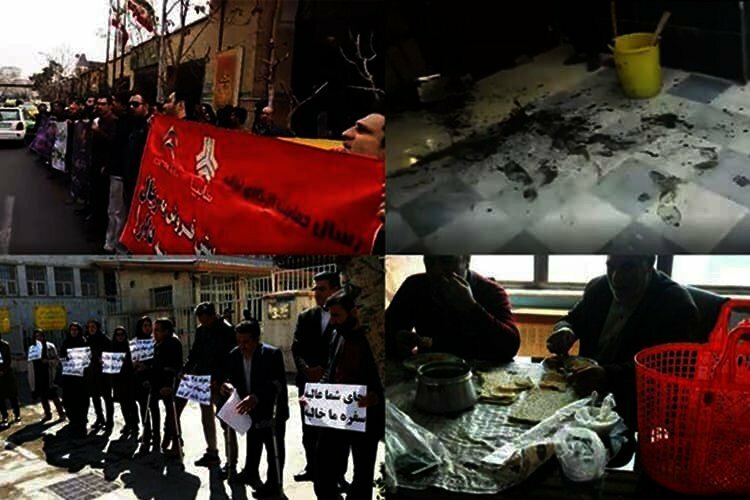 Iranians in the capital Tehran, northwestern town of Naqadeh, Karaj and southern town of Susangerd held rallies over the weekend in protest to their economic woes. Today, buyers of Saipa Citroen automobiles gathered outside Iran’s Ministry of Industry in Tehran in protest not receiving their purchased cars and price increases. The protest rally of the vehicles buyers in front of the ministry of industry, due to the lack of delivery of their cars and price increase. Also on Sunday, creditors who have lost their savings to the Revolutionary Guards affiliated Caspian Credit Institution also gathered outside the Prosecutor General’s Office in Tehran demanding that those responsible for their stolen savings be brought to justice. Employees of the Edalat Equity Shares, described as a sort of government subsidy plan, gathered in Tehran on Sunday in protest to their delayed paychecks. They were holding placards which read, “You’re livelihood is fantastic, but our dinner tables are empty”. Edalat Equity Shares employees demand 48 months of delayed paychecks. Another sign read, “The 48 month delayed wages of employees of the Edalat Equity Shares has to be paid”. On Sunday, famers in Naqadeh in West Azerbaijan Province gathered outside the town’s sugar cube factory demanding their denied wages. A group of farmers also symbolically laid out their impoverished food portions outside the office of the head of the factory to show their grave livelihood conditions. 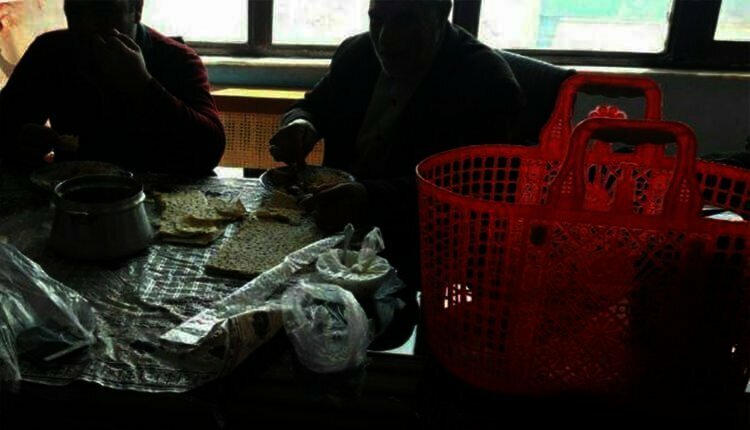 Naqadeh farmers eating bread to show their impoverished lifestyles in a rally outside the town’s sugar cube factory. 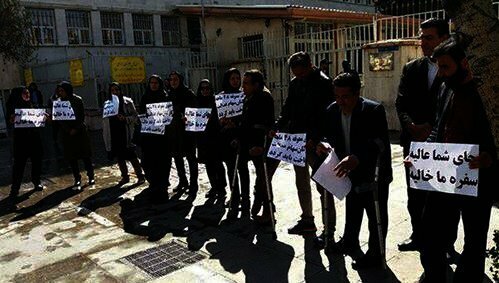 The personnel of the Khomeini Hospital in Karaj gathered outside the Karaj Governorate’s office today demanding their unpaid wages. On Saturday, a group of people gathered outside the Susangerd Water and Sewage Company in the southern province of Khuzestan. According to a video posted online, one of the angry protesters threw sludge on the entrance of the company building as a sign of protest.